? mm diameter, ? g, bronze or tombac? The pattern presented on this page is part of the G.F. collection, Germany. 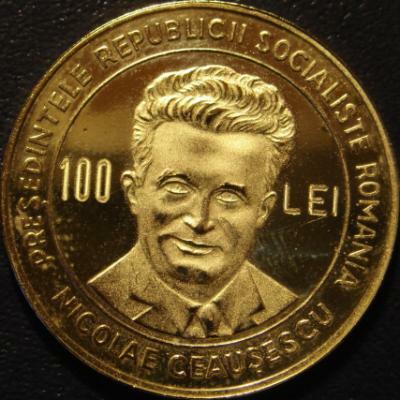 Another pattern with the face of Nicolae Ceauşescu is presented on the previous page. 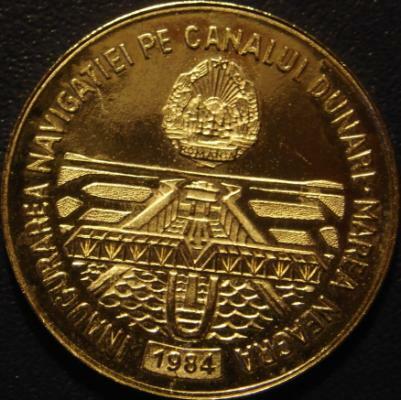 The Danube-Black Sea Canal also appears on other paterns presented on this site: 100 lei 1984 and 10 lei 1987.